As the temperature heats up, SUPER Sunglasses drops their Summer ’15 installment of their “Vacanze Italiane”(Italian Holiday) collection. Celebrating classic iconography of Italian vacations and timeless style, the range is composed of five unique new series/colorways. Some of our favorite pieces include the Costiera series: a one of a kind pearlized navy blue matched with tortoise and metallic gold. 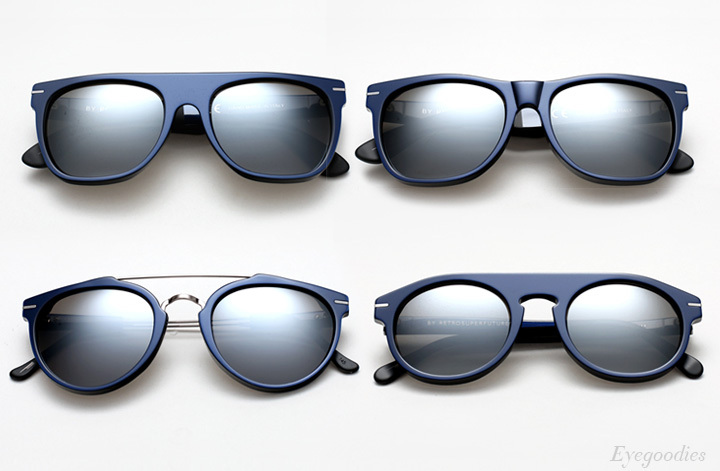 As well as the Ponente: pearlized navy matched with silver decor and metallic mirrored lenses. Danish designer, Han Kjobenhavn adds some utility to their staple Doc eyeglasses with the addition of clip-on sunglass lenses. The Doc, fittingly named for its perfectly circular lenses reminiscent of the 1920’s and “8mm deep cylinder shaped front”, returns for Summer 2015 in a new clip on model. Available in three colorways: “Raven”, “Wolf”, and classic black. 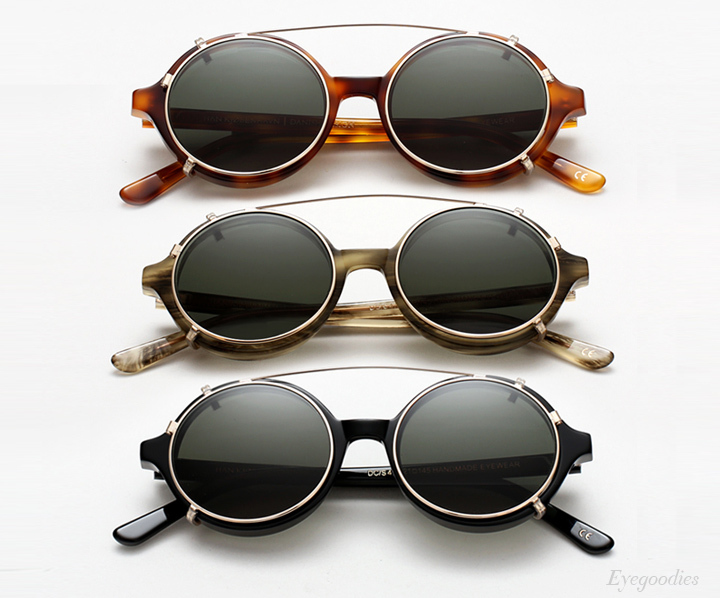 Each comes complete with a detachable gold metal sunglass clip which can easily by taken on/off.